View Cart "Jai Release Meditation Program" was successfully added to your cart. 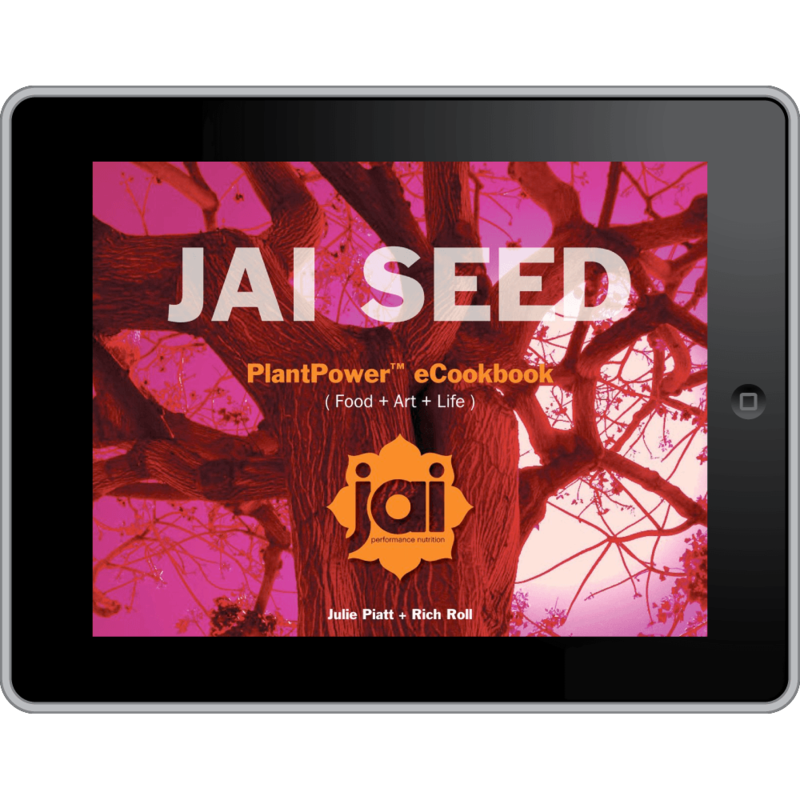 JAI SEED bursts with 77 pages of delicious, colorful and inventive vegan whole food recipes – a wide variety of creative breakfast, lunch, dinner and dessert dishes for the athlete and all members of your family, young and old. More than just another cookbook, JAI SEED is the creative expression of our family journey. A journey in whole food plant-based nutrition that has repaired our bodies, invigorated our health and elevated our consciousness. Its not just how we eat – its how we live. In addition to 48 recipes total, we include original artwork by Julie, 6 pages of basic nutritional tips on vegan fueling and a myriad of the plant-based wellness and pre/post workout fruit/vegetable elixirs that Rich has refined over the last few years of his racing and training. Bursting with color, the recipes are easy, fun and most importantly what you need to not just nourish, replenish, and heal your body, but to elevate your soul.